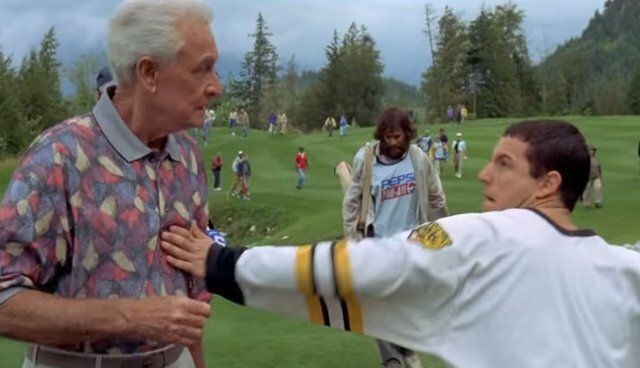 In the 1996 comedy "Happy Gilmore," TV host and longtime animal advocate Bob Barker gets into a battle of epic proportions with actor Adam Sandler, eventually laying into him with a right hook. On a Thursday episode of the soap "The Bold and the Beautiful," Barker reprised his iconic role, playing a vigilante protecting animal activists everywhere. "Bob Barker reminding you: help control the pet population. Have you pet spayed or neutered!" Barker, a strict vegetarian, has been involved in several animal causes for years - from the fight to stop Japanese whaling to saving big cats from circuses to, of course, setting up spay and neuter programs for cats and dogs.